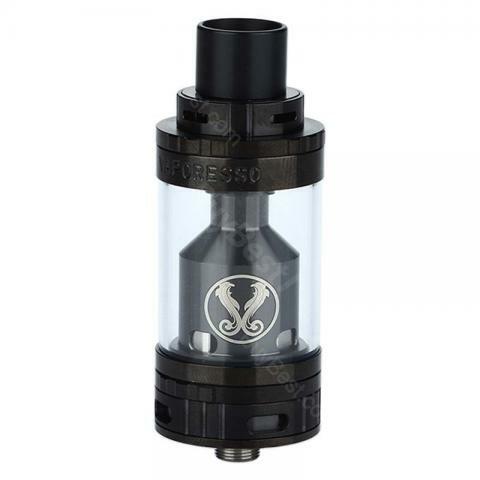 Vaporesso Gemini RTA Mega Tank, the upgraded version of Gemini RTA, have all the features of Gemini RTA. It comes with a bigger e-juice capacity and 25mm diameter for easily building. • It has 510 thread, fits most510 thread batteries. This tank is super good, 4ml capacity is suit for me, and it can fit for my Alien mod, and very easy to build. This Gemini rta made by vaporesso is perfect for cloud chasers, like me! I have the original vaporesso gemini rta and love it. This one is bigger and works great too. Gemini mega has 4ml juice capacity and 25mm diameter, which is easy for building your coils and holds more juice than the original version.